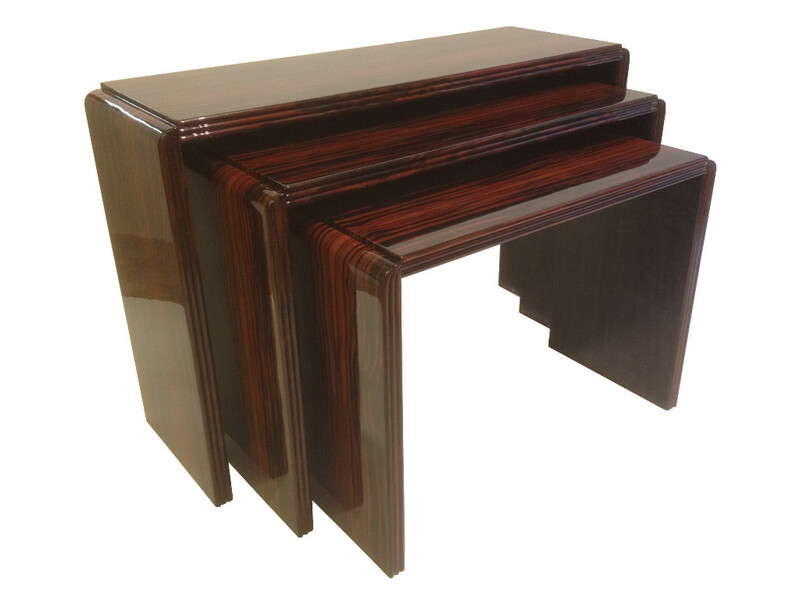 A console top three nesting tables plated Macassar ebony. Material : Ebony Macassar and Poirier tinted black. This unique piece is a creation in the style of French art deco, reviewed the twenty-first century. 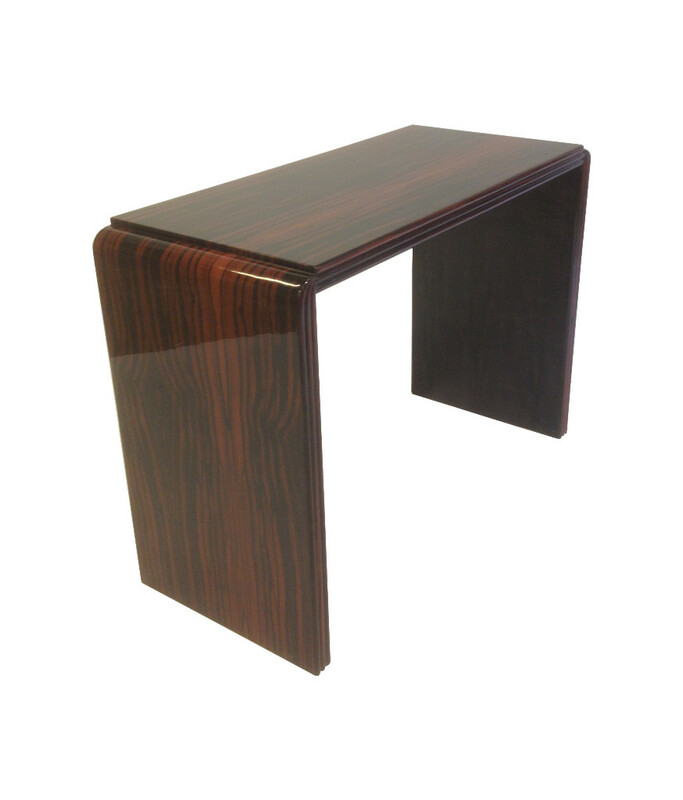 The three tables can be used separately or store each other to serve as a console. 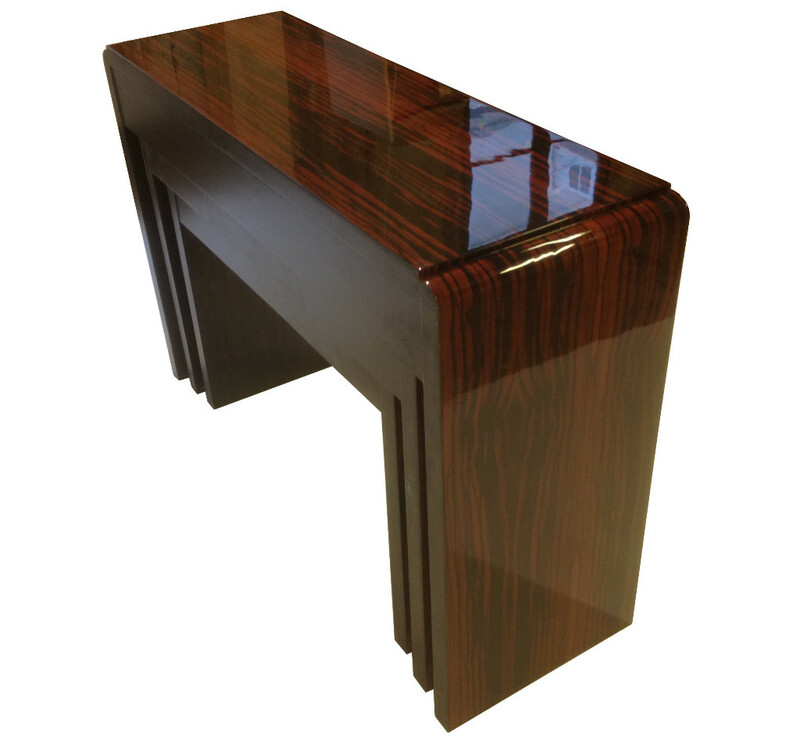 Macassar ebony was used extensively in the “Art Deco” style of the early twentieth century. 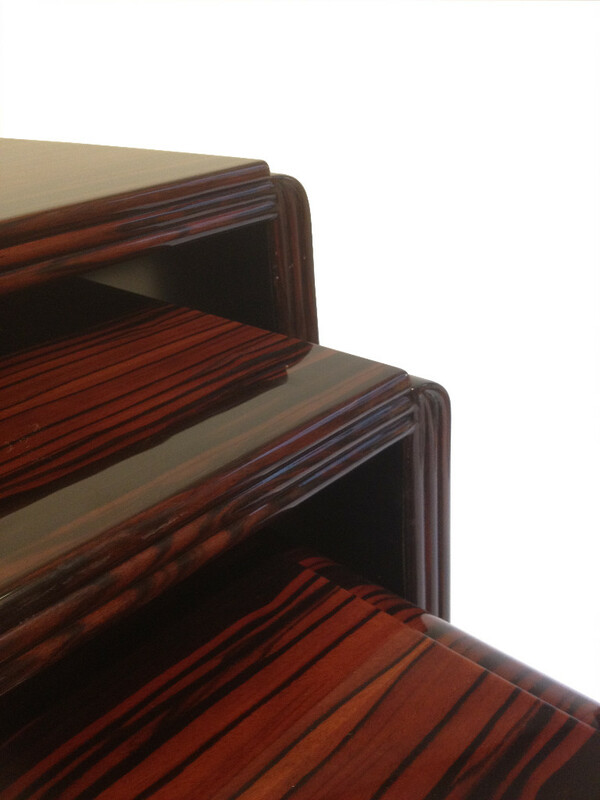 It is an elegant wood whose color varies very little over time. Its visible veins differentiate the ebony from Gabon, more united in its black case. 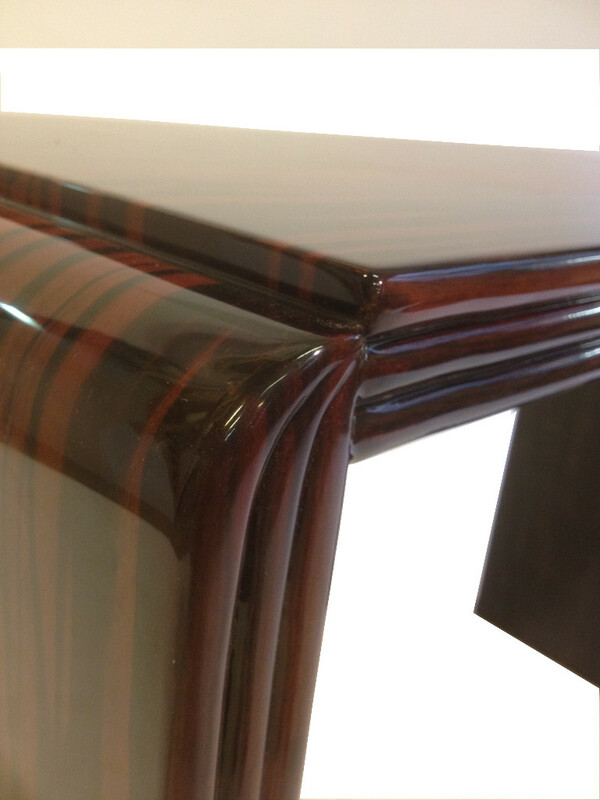 Polyurethane varnish. Solid varnish giving a deep wood.